AV-TEST rates each tool for three areas: protection (six point max), usability (six points max) and features (one point max). 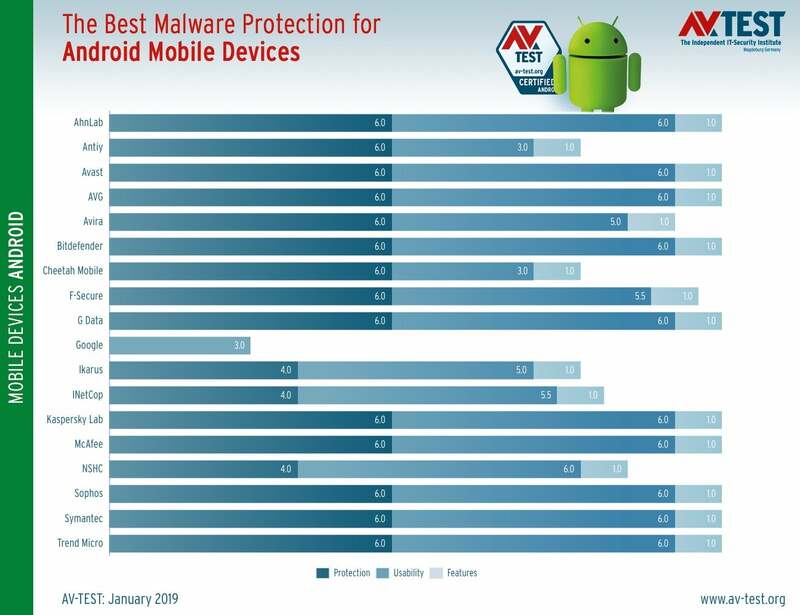 Ten of the 11 Android antivirus software apps listed below received perfect protection and usability scores of 6.0. The other, F-Secure Mobile Security, lost a half point on the usability score. The apps are in alphabetical order. The average real-time malware detection rate for all apps tested was 97.5 percent. For real-time detection of Android malware discovered in the past four weeks the average rate was 97.7 percent. Avast Mobile Security 6.15 managed Android malware detection in real-time 100 percent of the time. It found 100 percent of the latest Android malware discovered during the previous four weeks. The app doesn’t negatively affect battery life or cause the device to get sluggish during normal use. It registered zero false warnings during installation and third-party app stores. AVG AntiVirus Free 6.15 had a perfect 100 percent detection rate for real-time malware detection and a 100 percent detection rate for recently discovered malware. It gave no false warnings. The app has a decent set of features including anti-theft, remote wipe, call blocking, safe browsing, backup of personal data, app lock, wi-fi security, and privacy advisor. However, it lacks message filtering, parental controls, and encryption. Bitdefender Mobile Security’s Android malware detection in real-time is 100 percent, and it discovered the newest Android threats discovered in the last four weeks 100 percent of the time as well. For usability, the app gets big check marks for not dragging down battery life or device speeds. AV-TEST found zero false warnings during installation/usage of legitimate apps from Google Play and third-party app stores. 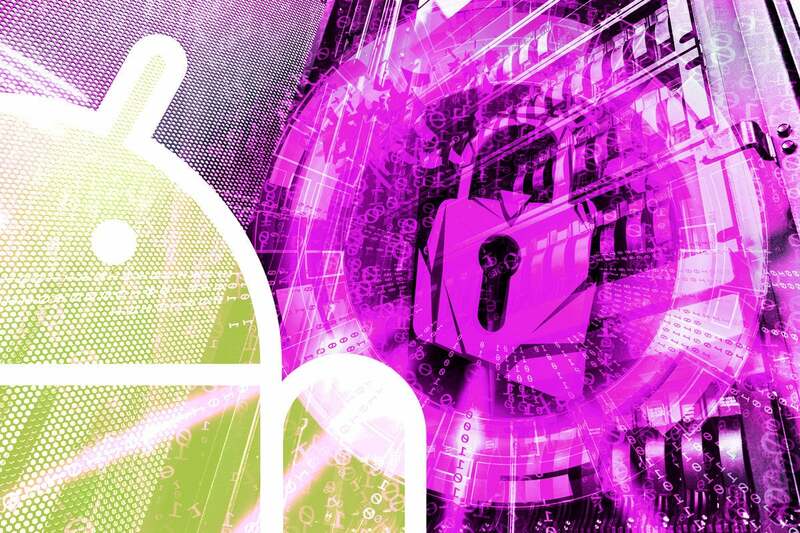 F-Secure Safe detected the latest Android malware in real-time 99.6 percent of the time and those discovered within four weeks 100 percent of the time. There’s no drain on battery life or performance and the app doesn’t generate too much traffic. False warnings during installation and use of legitimate apps from Google Play were zero, but the app gave one false warning during installation of use of a legit app from third-party stores. Features include anti-theft (remote lock, remote wipe, and locate); call blocking; safe browsing; parental control; and application privacy. Internet Security’s real-time Android malware detection rate was 100 percent, while it detected threats discovered in the past four weeks 100 percent. The excellent usability score resulted from not negatively affecting battery life, dragging down device performance, or generating too much traffic. The app issued zero false warnings during installation and use of legitimate apps from Google Play and third-party app stores. Kaspersky Lab’s Android malware scanner caught the latest Android malware in real-time 99.9 percent of the time and the latest threats discovered over the prior month 100 percent of the time. The app’s perfect usability score results from not impacting battery life, slowing performance or generating too much traffic. The feature set is more robust than most, with remote locking, wiping and location; call blocking; message filtering; and safe browsing/anti-phishing protection. Additional features not tested include privacy protection and anti-phishing protection for texts. McAfee Mobile Security Android malware scanner detected bugs in real-time 99.7 percent of the time, and caught malware discovered in the last four weeks 99.9 percent of the time. Usability was stellar. The app’s feature set is strong, including a full set of anti-theft tools, call blocking, safe browsing and phishing protection, parental control, and the ability to save personal data to an SD card or the cloud. Mobile Security doesn’t support all types of encryption, however. Other features not tested include battery optimizer, privacy check, and app lock. Sophos Mobile Security detected new malware in real-time 100 percent of the time and within four weeks 100 percent of the time. The perfect usability score comes from not impacting batter life or performance or generating too much traffic. The app includes anti-theft, call blocking, message filtering, and safe browsing features, along with a privacy advisor, security advisor, app protection and authenticator. This story, "Best Android antivirus? The top 11 tools" was originally published by CSO.